If you’ve read my Book Club post (here), you’ll know that I kinda’ have a vivid imagination and sorta’ scarred myself at a young age (by watching The Exorcist) and therefore am deathly afraid of the dark, to this day. I’ve also stated that I love the rain, which I do, very much so, but on Saturday morning (an hour or so past midnight) it started raining heavily accompanied with lightning and thunder. Unfortunately, when it starts pouring outside, the power goes out. Normally, someone (anyone but me) would fix it, but since everyone was asleep, and the hall where the fuse box was located, happened to be pitch black, I opted to wait out the thunderstorm instead. Aside from the light from my phone (which was quickly running out of battery charge) and the street lamps er… across the street, I was in the dark, literally. I knew I could have lit several candles (which I’ve placed strategically around my living quarters) but I promised myself I’d never ever light up my Cotton Candy Candles (hauled – here), Pink Petal Tea Cake Candle (hauled – here), and I was savoring the last of my Honeysuckle Candle too. 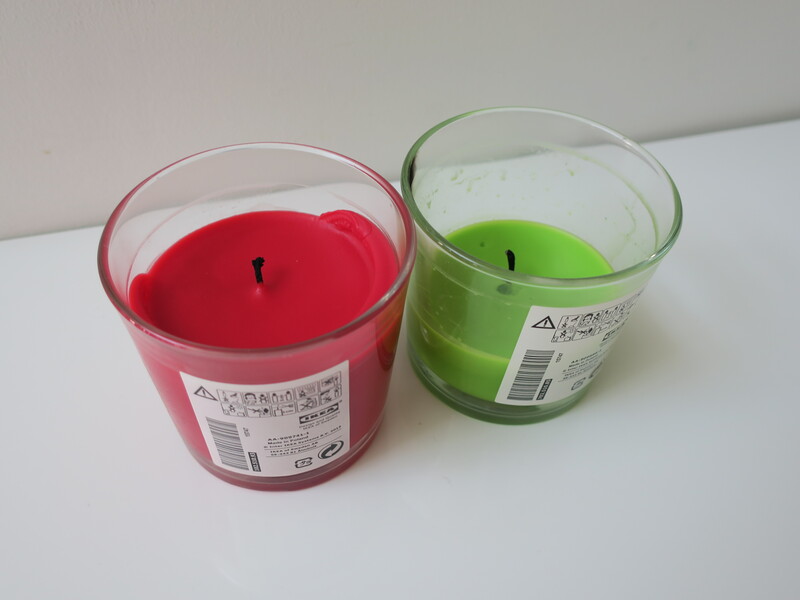 I did have some newer candles that I’d just purchased from Bath and Body Works recently but I hadn’t taken photos of them for my blog yet, and I didn’t want to take photos of them looking all ratchet (after I’d burned them) without showing you guys what they looked like first (when new). The thunder got pretty scary at one point! It was crack after crack and sounded pretty close (like, right across the street, close)! Things that had no bearing on anything kept popping in my head. It’s the Illuminati messing with the weather! They know that I know! They’re here to take me so I can be their next test subject for Project MK Ultra! Oh. My. God. Is that an inverted cross?!?! Basically, every other shadow looked like an inverted cross. At about 3 am (which according to Exorcism of Emily Rose is when the evil spirits come out to play) the thunderstorm was at its worst, so I decided to look out the window, even though I was terrified. I was shocked to find not one, not two, but several cars in motion! People were driving to and fro, all nonchalant, like a thunderstorm wasn’t taking place at all. They’re probably up to no good, I rationalized to myself because no sane person would willingly go out in that! 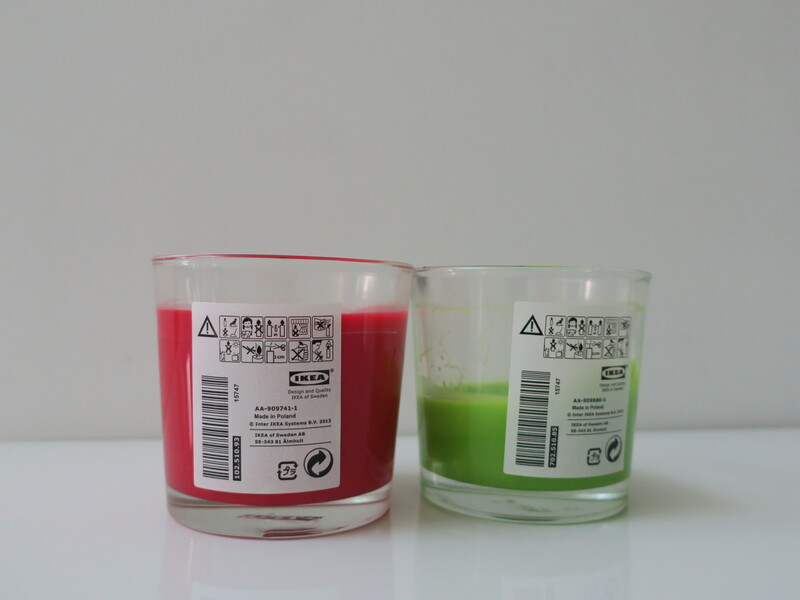 Back to my shadows (I’m the sane one in this scenario), I was at my breaking point, and was about to light my beloved Cotton Candy Candle, when I remembered these two Ikea SINNLIG Candles that my dad had bought for me. 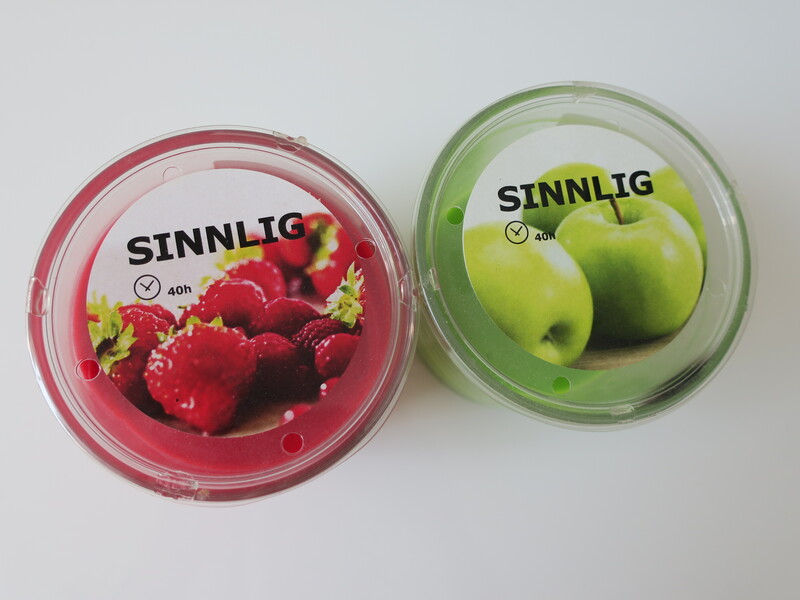 One smelled like Strawberries, and the other smelled like Green Apples (reviewed – here). 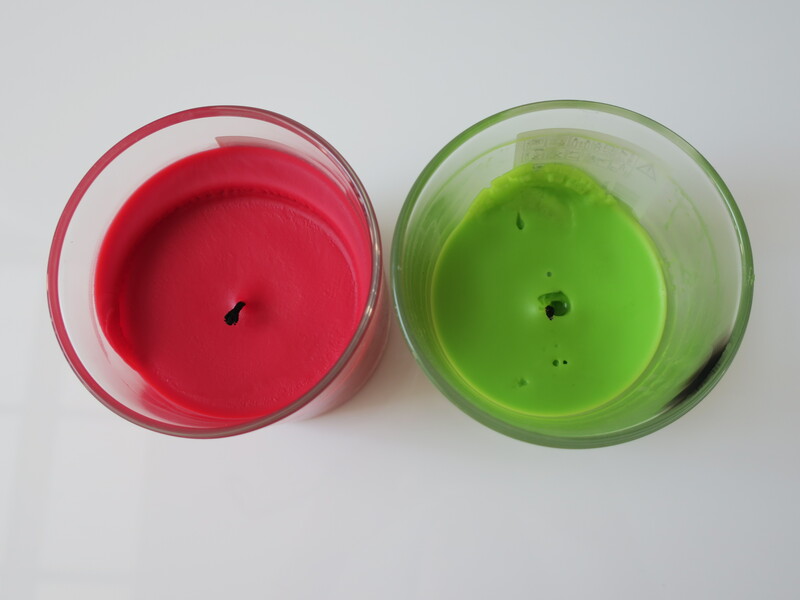 I quickly lit both of them and placed the Green Apple Candle on my bathroom sink (while avoiding looking in the mirror), and placed the Strawberry Candle on the floor in the hall. I had my Kindle Paperwhite in hand, some Skittles (reviewed – here), and several small bags of Lay’s Salt & Vinegar Chips (reviewed – here). I was pretty much set! I rode out the rest of thunderstorm in peace and comfort! 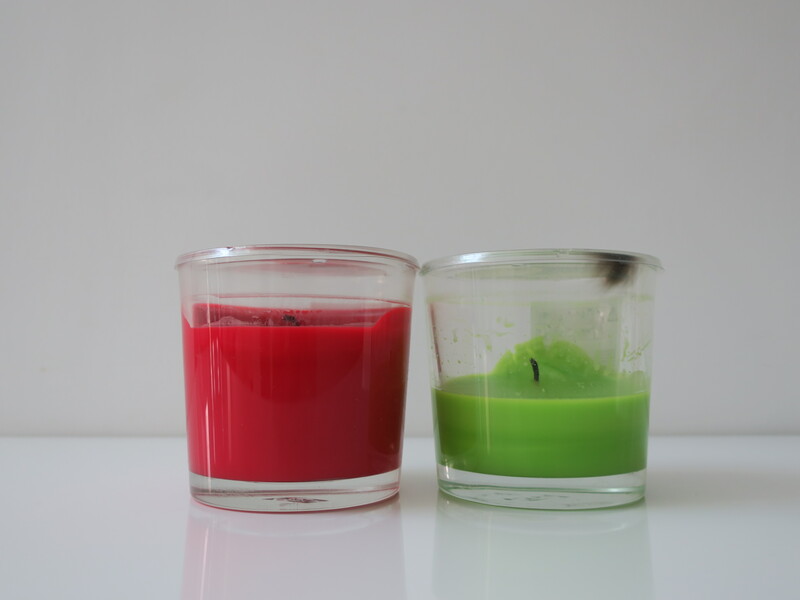 Basically, my father and those Ikea candles saved my life!